Very basic, very common, sometimes colorful - but make sure you get the right one! The Kodak Rainbow Hawkeye No. 2 Model C was made for many years in many colors and is pretty easy to find in working condition today. 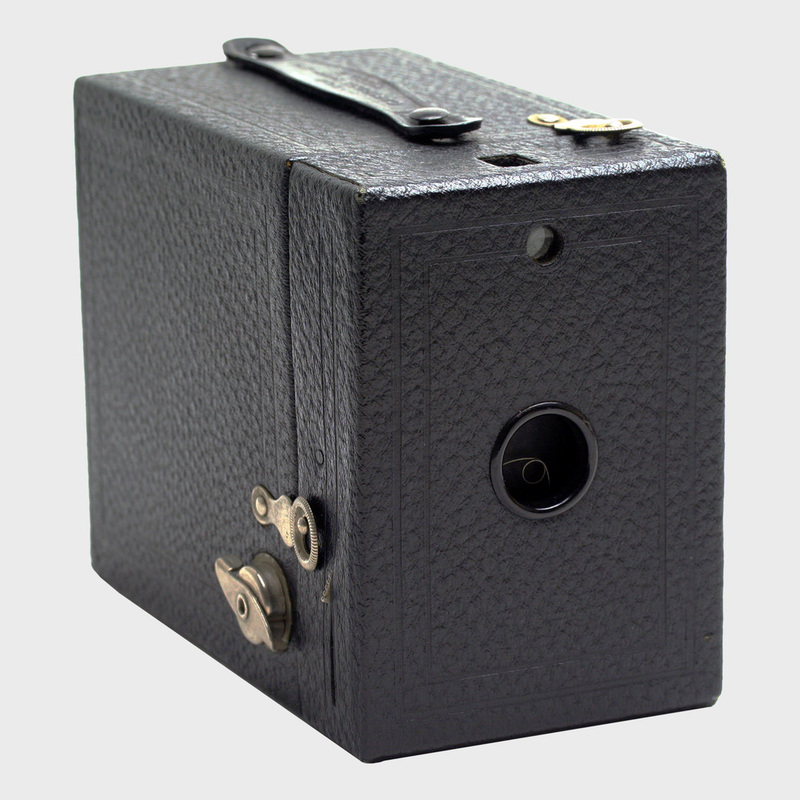 But make sure you're getting this model specifically because it's one of the few Kodaks that takes 120 film instead of their in-house 620 film. To be clear, the colored models (red, maroon, blue, green and brown) get the "Rainbow" moniker. The all-black model, while exactly the same, doesn't get to be part of the rainbow. But always look for No. 2 Model C (for 120 film)! 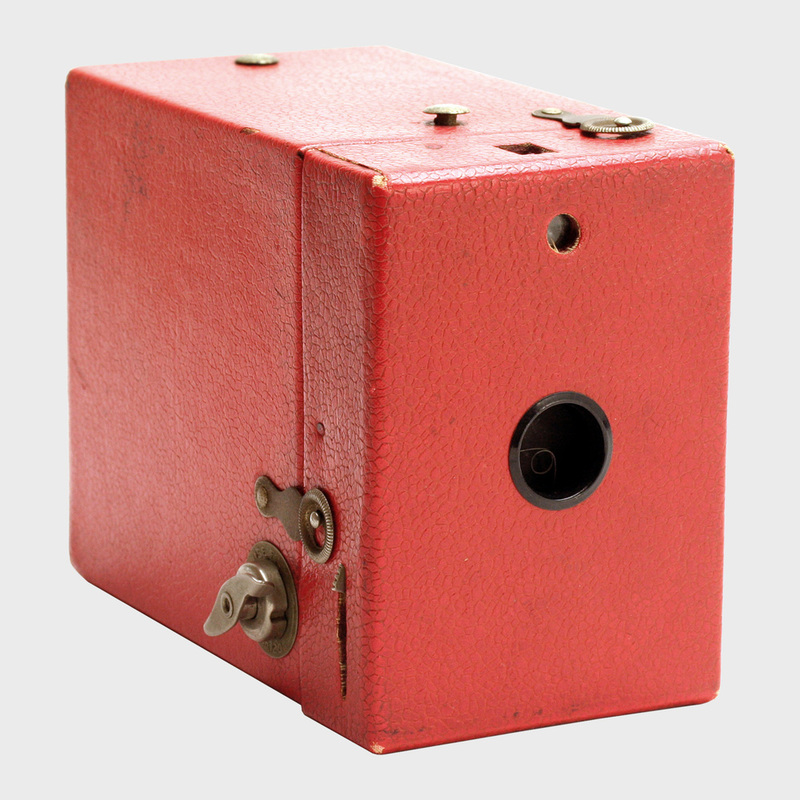 In all ways, these were cameras for the masses and made as cheaply as possible. They are simple cardboard walls wrapped by cheap leatherette. There is no lens, only one tiny viewfinder that is very often useless, and nearly impossible to clean, and they have the old-fashioned "Always On" shutter. Straps are often missing and you'll need to make sure that the locking pins haven't become loose or fallen out entirely, because this is common and means you'll have to tape the thing closed. We at MFBOXCO consider this lack of anything like "features" to be the main feature of the Hawkeye. Plus we'll wager that there is at least one of these cameras at every single flea market in the USA. You will often pay a premium for the colors, but you should keep in mind that if you plan to use it, the color makes little difference. Pretty average in most ways, but redeemed by easy film loading. +1 for aesthetics if you find a colorful one.